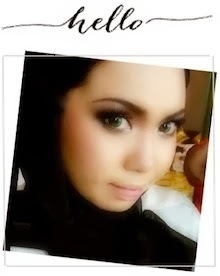 Shazwani Hamid's Blog: Olay Miracle Duo! Olay has always been one of those drugstore skincare brands that I like. I've been using Olay (on and off) since I was 20 years old. They’re one of the few drugstore skincare brands that offer a good percentage of useful anti-aging ingredients like peptides and niacinamide, sometimes even more than what a number of high-end skincare brands offered. The Olay Regenerist Miracle Boost Youth Pre-Essence is designed to be applied every morning and evening after cleansing and toning. It features an advanced skin energy complex with hydra firming complex that instantly give a smooth, radiant and flawless skin. With its skin energy complex, it helps your skin look energized and strengthens skin barriers to give you a healthy looking skin. This Olay Regenerist Miracle Boost Youth Pre-Essence will allow the essence or serum that you’re currently using to work better as they absorb better. As they mentioned it on the box, the Olay Regenerist Miracle Boost Youth Pre-Essence will work better when combine with their Olay Day Cream. So I thought I'd give it a try! As mentioned earlier, this Olay Regenerist Miracle Boost Youth Pre-Essence is very light and watery. It is absorbed very well by the skin unlike most serums that leave your face a little oily. My serums are still performing optimally when I use this with them. From the list of ingredients, this contains quite a high percentage of niacinamide (Vitamin B3) that is a good anti-aging ingredient that can help improve skin’s elasticity, enhance its barrier function, help erase discoloration and revive skin’s healthy tone and texture. I used this after my toner and before applying my serum and moisturizer. 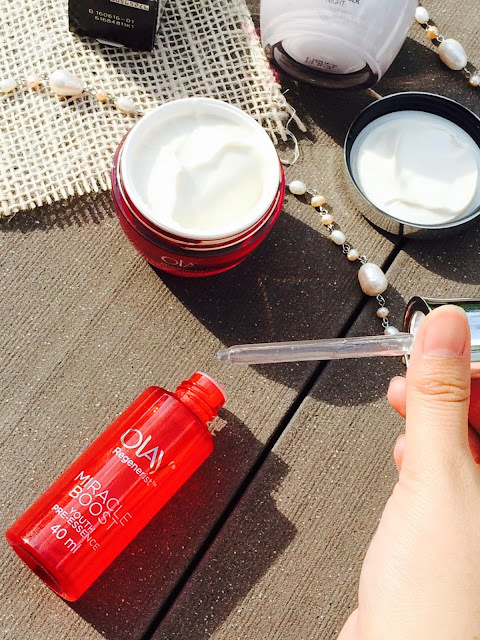 The Olay Regenerist Micro-Sculpting Cream on the other hand is a really effective moisturizer. It is an anti-aging day cream moisturizer that aims to firm lines, smoother looking skin plus intense hydration. This cream moisturizer is loaded with (again) niacinamide and peptides too, which are great in improving my skin’s overall tone and texture. My face is so dry most of the time and this is exactly what I needed to make my skin look healthier and dewy. I love that it is lightweight and gentle yet my skin remains hydrated with its star ingredient. It also has a smooth finish and absorbs/dries up quickly, allowing even makeup application that's safe from caking. It helps renew skin's surface layers revealing youthful look and it hydrates to help plump up the skin too. These characteristics make them perfect to use during the day or even at night. And it's perfect for our hot weather too, because the products don't feel heavy or sticky on my skin. I would highly recommend this for women who would like to prevent fine lines. I’ve used this for a while now and I can see the difference in my skin!